Maryland MENTOR offers individual consultation to mentoring programs to help with any aspect of their program. We would welcome the opportunity to get to know your unique mentoring program, discuss your program’s needs, and figure out how we might best be able to partner with you. To set up a free initial consultation, please complete the form below. 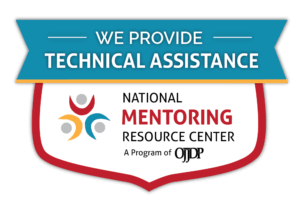 Maryland MENTOR is pleased to now officially be named as Maryland’s Lead Technical Assistance Agency as part of the National Mentoring Resource Center with the capability to offer free consulting/technical assistance to Maryland-based mentoring programs based on the Elements of Effective Practice for Mentoring 4th Edition. This means, for qualifying programs, we can deploy a Maryland MENTOR Consultant to work with your program for no cost to support process improvement, program design, and implementation of the EEP4. The National Mentoring Resource Center (NMRC) provides free specific program practices based on their individual needs. To take advantage of this opportunity, fill out a short Technical Assistance Request for your program on the NMRC website. 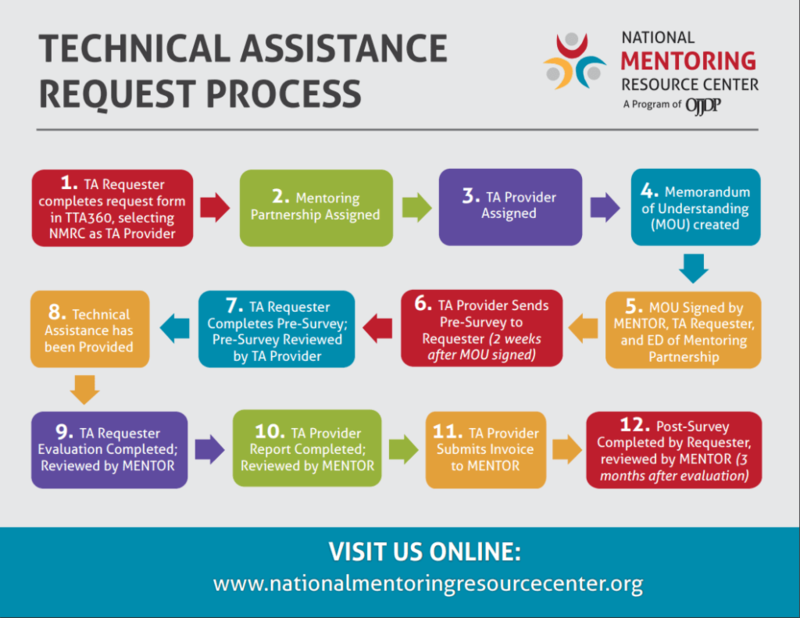 The NMRC sends your request to the closest mentoring partnership and where they will review your application, complete an exploratory phone call, and begin working with you on your program’s needs. The National Mentoring Resource Center serves as a comprehensive and reliable resource for mentoring tools and information, as well as program and training materials. Funded by the Office of Juvenile Justice and Delinquency Prevention (OJJDP) and managed by MENTOR: The National Mentoring Partnership, the goal of the NMRC is to pair evidence-based practices with training and technical assistance to help improve the quality of youth mentoring programs across the nation. Check out their collection of mentoring handbooks, curricula, manuals, and other resources for programs to use.